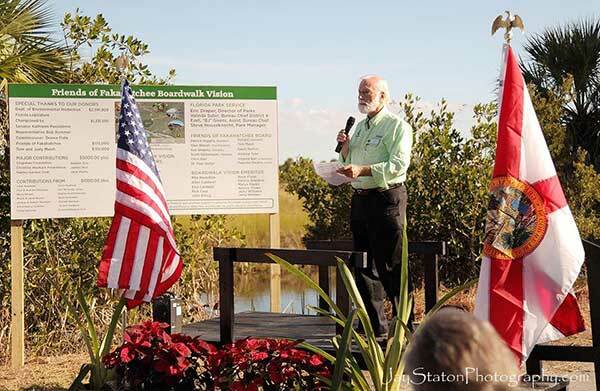 The roseate spoonbills appeared at the midpoint of the festive groundbreaking ceremony at the Big Cypress Bend Boardwalk the morning of December 7. Someone shouted “Spoonbills!” and everyone’s gaze shifted from the speaker’s podium to the skies above. High in the bright blue morning sky, glowing pink from the sun behind them, a pair of roseate spoonbills glided in silent formation above the Fakahatchee. The words of the speakers at the ceremony were eloquent, but the silent presence of the birds above spoke volumes about the importance of the project far below them. For the day, the abandoned road east of the boardwalk entrance took on a festive air complete with assisted parking, coffee, rolls, fruit, programs, display boards and shiny groundbreaking shovels ready to plunge into piles of imported earth. 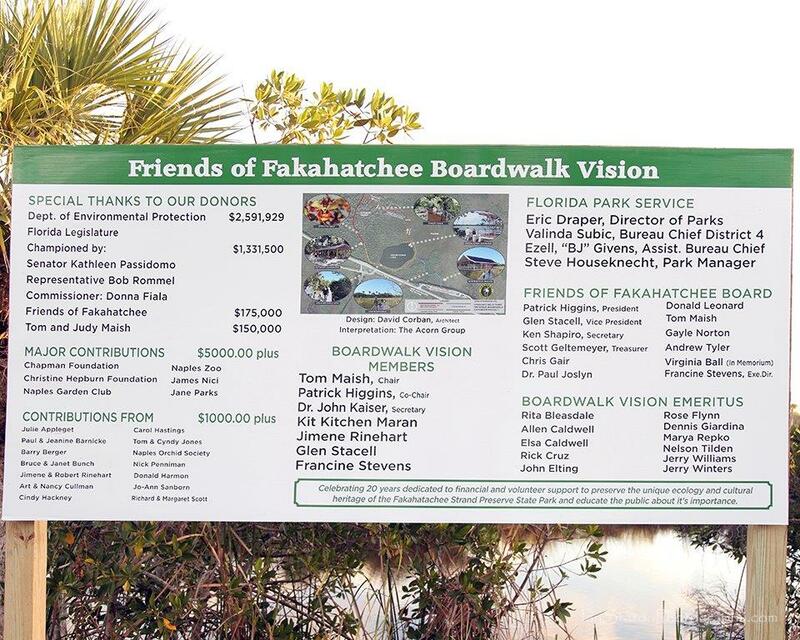 Before the program, members of the Friends of Fakahatchee mingled with Fakahatchee park staff, representatives from other nature groups, tourism and local political officials and returned snowbird friends. 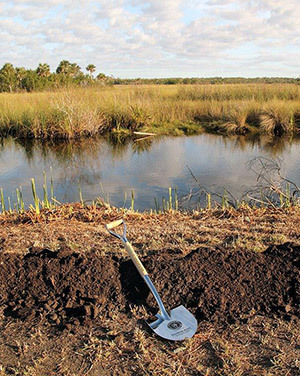 The formal program was a testament to the coalition of state and local officials and dedicated FOF volunteers that was necessary to keep the project alive and finally get it off the ground. 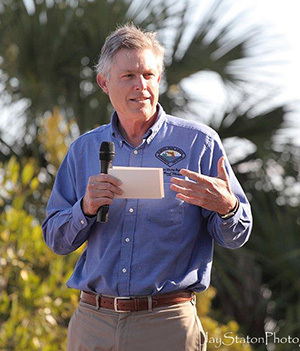 One name mentioned by every speaker was Tom Maish, former FOF president and the man who championed the project for the past thirteen years. 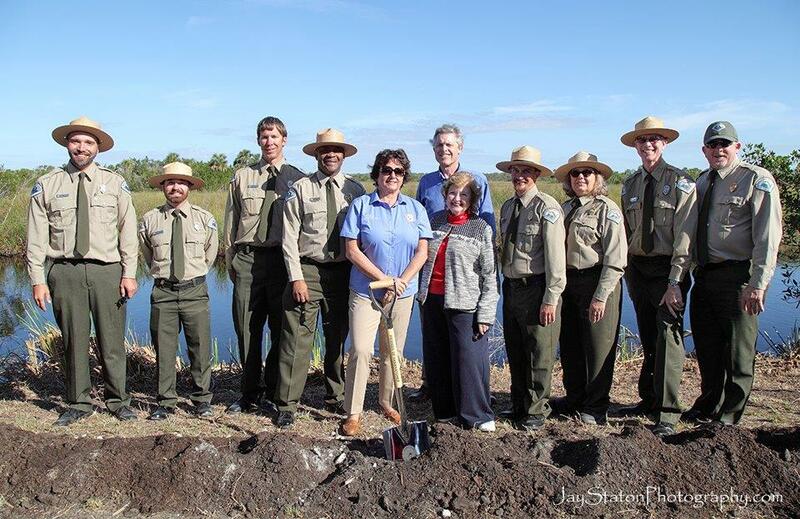 Park Rangers Mike Duey, Guy DiGiovanni, and Steven Bass, Assistant Bureau Chief BJ Givens, State Senator Kathleen Passidomo, Director of Parks Eric Draper, Collier County Commissioner Donna Fiala, Park Manager Steve Houseknecht, Bureau Chief District 4 Valinda Subic, Park Biologist Mike Owen, Florida Division of Recreation & Parks Assistant Director Chuck Hatcher. 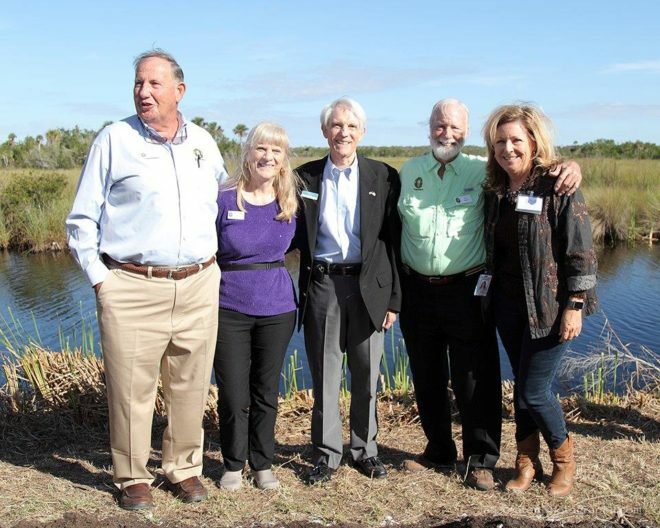 Patrick Higgins, Francine Stevens, Collier Visitors Bureau Executive Director Jack Wert, Tom Maish, Visitors Bureau PR & Communications Manager JoNell Modys. Moments later, eleven dignitaries lined up and grasped their shovels. As they tossed clumps of soil into the air, cameras and cellphones captured the symbolic scene. “Congratulations on putting together a truly memorable event… The FOF is a remarkable organization and a template for CSO’s around the state. 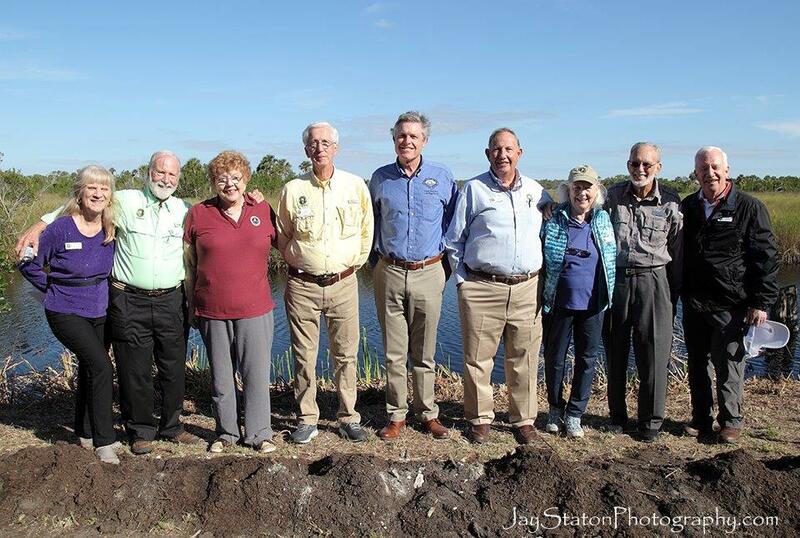 Boardwalk Vision Committee Extraordinaire with Eric Draper: Francine Stevens, Tom Maish, Jimene Rinehart, Glen Stacell, Eric Draper, Patrick Higgins, Kit Kitchen-Maran, John Kaiser, Bruce Bunch. This billboard at the site of the groundbreaking ceremony honored those who helped make the Boardwalk Expansion Project a reality.